Family photo sessions should be fun! Our family photo sessions typically last 45 minutes to little over an hour. I believe in scheduling plenty of time so that the shoot is relaxed and can also consists of outfit changes. 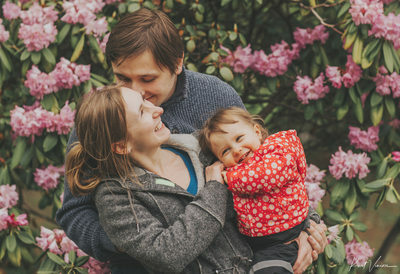 For those families who wish to be photographed as they explore this incredible city - those sessions tend to be 2 hours at minimum to ensure that we have several wonderful backdrops to showcase you and your loved ones. We will also do a mixture of posed family portraits as well as candid, natural images. We will also do a mix of family configurations such as: everyone together, just the children, just the parents, mom and the kids and etc. You will have plenty of images to display on your wall, share with friends, and post to social media. Outfit changes (time allowed) are also encouraged. Family sessions in Prague are a wonderful way to showcase your family & your travels to one of Europe's most beautiful locations. We always have a fantastic & fun time on these sessions. 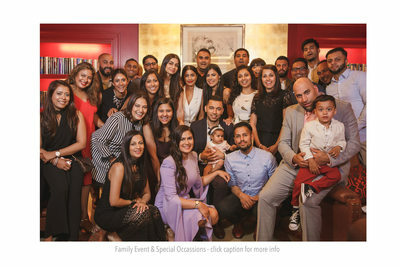 As a proud 'Papa' I also realize how important having some time set aside for a proper family photo session is time and money well spent. It is unbelievable how quickly our children grown up. It is incredibly special to sit down and look back on these images and see how quickly your family has grown. Having these beautifully captured images displayed on your living room or family room wall brings back wonderful memories during those times spent abroad. 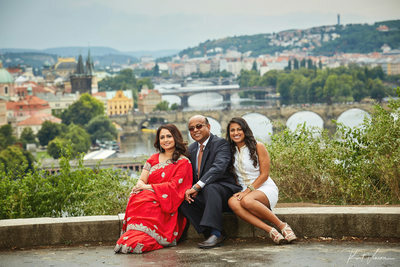 Family photo sessions in Prague and especially showcasing this incredible city is one of the things I do best. I however have captured family photo sessions in Italy, Germany and Slovakia and would welcome the chance to meet with you and yours. 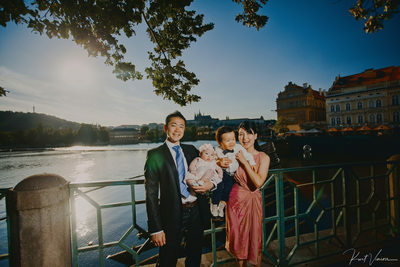 For your Prague Family Portrait session we can start overlooking the city at one of it's wonderful parks, Prague Castle and the Gardens or your apartment. And if you are in need of a custom shoot, no worries, we can do that too. For outdoor sessions nothing beats the Golden Hour - the hour before sunset. The light has a gorgeous golden color and when captured with sun flare these beautiful images evoke those lost summers we all look back upon. Ideally we can start before this time frame to warm up the little ones to the idea of being photographed. And no worries, if you have little ones, we should start their sessions after their nap time so that they are refreshed and ready to go. If you are wishing to have your photo shoot used for holiday photos I can highly recommend late September to late October as the fall colors are stunning during this time of year. Plus you will still have plenty of time for selecting your images, printing them and having them sent out. Visiting Prague from somewhere else? 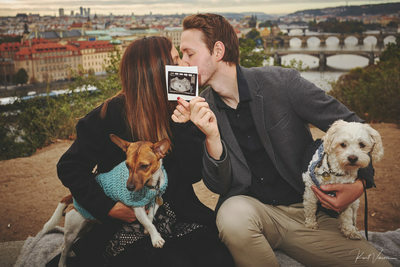 Are you looking for a Prague Vacation Photographer? I am happy to help you plan a wonderful photo session featuring those iconic Prague backdrops. Just provide me with a sense of what you are looking for and I can suggest some locations and a timeline. And no worries, no knowledge of Prague is needed.